In this pioneering guide, two business authorities introduce the new discipline of Service Design and reveal why trying new strategies for pleasing customers isn’t enough to differentiate your business—it needs to be designed for service from the ground up. Woo, Wow, and Win reveals the importance of designing your company around service, and offers clear, practical strategies based on the idea that the design of services is markedly different than manufacturing. Bestselling authors and business experts Thomas A. Stewart and Patricia O’Connell contend that most companies, both digital and brick-and-mortar, B2B or B2C; are not designed for service—to provide an experience that matches a customer’s expectations with every interaction and serves the company’s needs. When customers have more choices than ever before, study after study reveals that it’s the experience that makes the difference. To provide great experiences that keep customers coming back, businesses must design their services with as much care as their products. Service Design is proactive—it is about delivering on your promise to customers in accordance with your strategy, not about acceding to customer dictates. 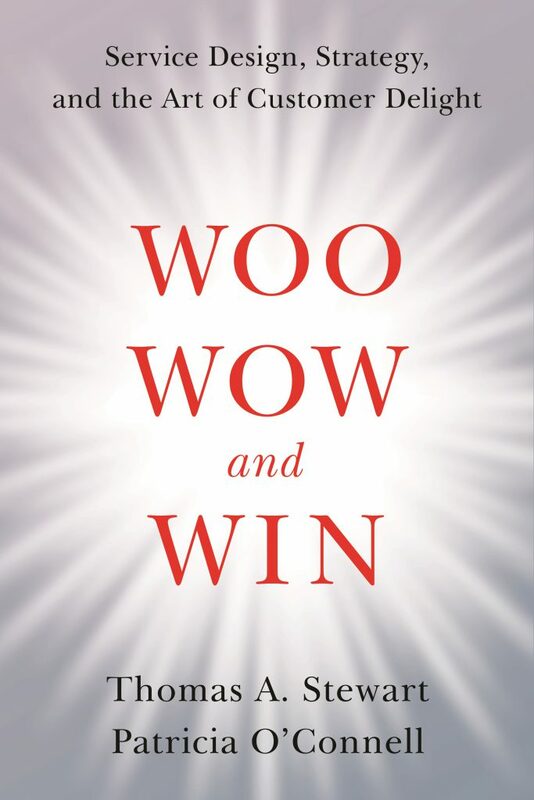 Woo, Wow, and Win teaches you how to create “Ahhh” moments when the customer makes a positive judgment, and to avoid Ow” moments—when you lose a sale or worse, customer trust. Whether you’re giving a haircut, selling life insurance, or managing an office building, your customer is as much a part of your business as your employees are. Together, you and customers create a bank of trust; fueled by knowledge of each other’s skills and preferences. This is Customer Capital, the authors explain, and it is jointly owned. But it’s up to you to manage it profitably. Innovative yet grounded in real world examples, Woo, Wow, and Win is the key strategy for winning customers—and keeping them. Patricia O’Connell is president of Aerten Consulting, a New York City-based firm that works with companies to devise content strategies and develop thought leadership for top management. Thomas A. Stewart is a bestselling author, an authority on intellectual capital and knowledge management, and an influential thought leader on global management issues and ideas.